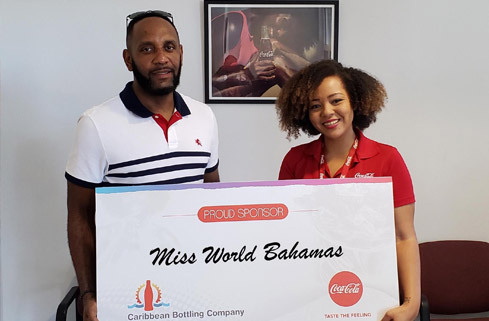 The nationwide search has begun to crown the next Miss World Bahamas, and The Caribbean Bottling Company (CBC) is proud to keep the contestants hydrated with Dasani water during the competition. “CBC is committed to supporting education and youth initiatives, and we are proud to hydrate the young, bright, and ambitious Miss World Bahamas contestants as they pursue their dream of representing the Bahamas on the international stage,” noted Nikia Wells, CBC Communications Marketing Manager. The Miss World Bahamas main event will take place on May 26 at the Atlantis Resort.